Formerly one-half of Clipse and currently the G.O.O.D Music president, as appointed by label founder Kanye West, Pusha T is the rap superhero that has consistently continued to win. 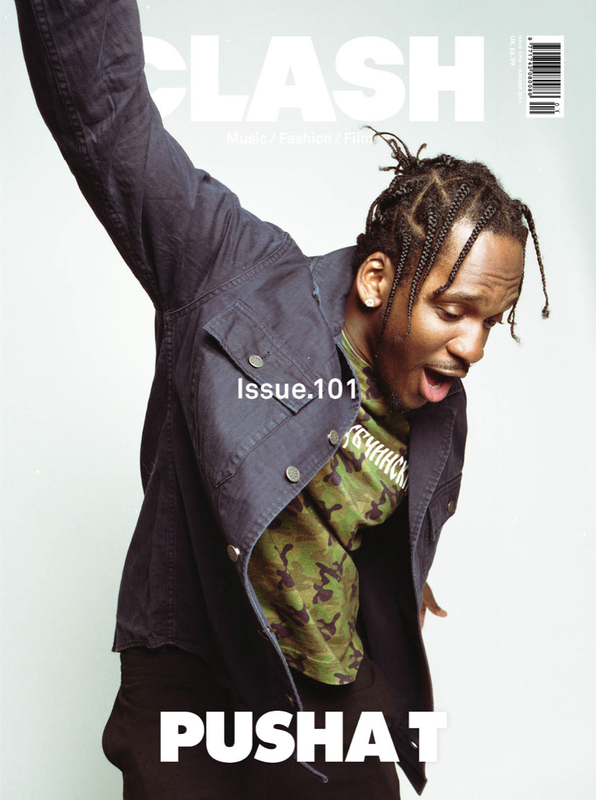 Shot in London by Anna Victoria Best with fashion by Gary David Moore, and interviewed by Grant Brydon, in the third of a series of four cover stories for issue 101, Pusha tells Clash of his constant quest to create and uncover new ideas, and the music that inspires his journey. Returning with an all-new look for summer, Clash 101 can be bought online HERE.